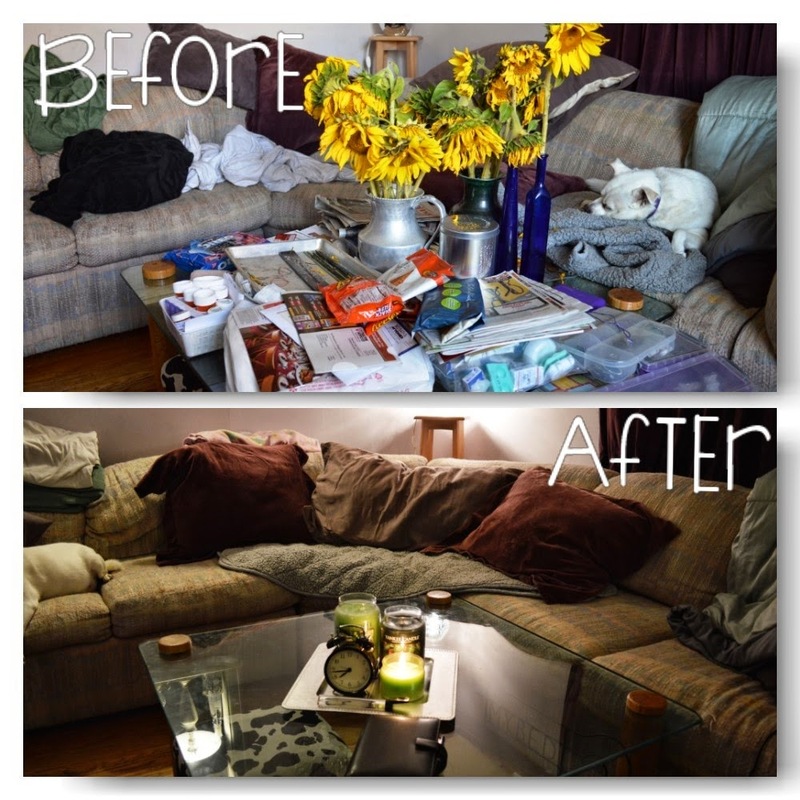 I admit it, we got lazy the last couple of weeks with Paulie's health challenges and wound care that the living room started resembling something out of Hoarders episode. Today my patience ran out so I used my lunch break from work to tackle it and shamed myself publicly by posting the before and after. I am committing, once again, to complete a project each day to continue this motivational momentum. Tomorrow I address the kitchen... now that will be a job and a half.